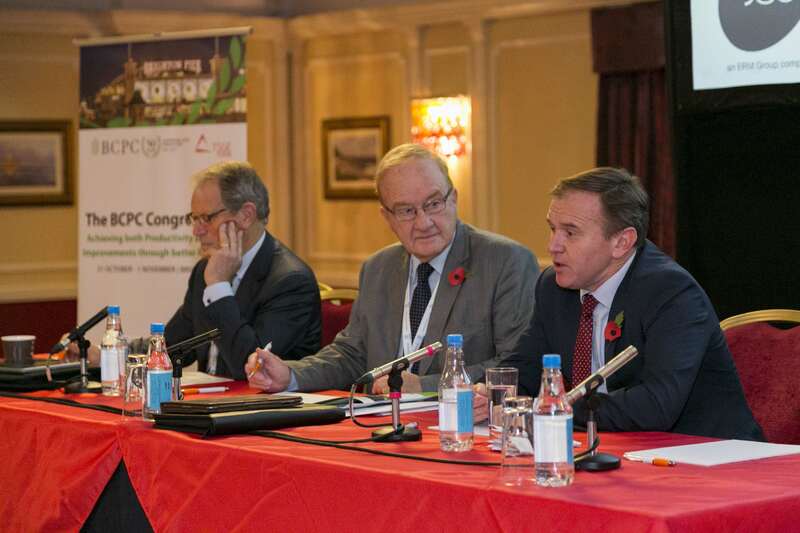 Minister points to IPM and innovation as post-Brexit priorities for agriculture - BCPC British Crop Production Council : BCPC British Crop Production Council . Delegates at this year’s BCPC Congress heard first-hand what the key pillars of post-Brexit policy would be, when the Rt. Honourable George Eustice, Minister for Agriculture, opened proceedings. “Genetic technology may be contentious, but the UK argues strongly for applying new genetic technologies in crop production. We need to support this and other more innovative approaches to supplement our chemical pesticides. By summer 2018, a White Paper will be introduced on a new Agricultural Bill, with R&D and innovation at the heart of the approach,” advised the Minister. Among the many leading industry figures speaking at the event, Dr Jon Knight, AHDB pointed out that few farmers had adopted IPM and most relied on conventional pesticides to be profitable, but he supported the move to biologically based IPM alongside chemical pesticides. Resistance to pesticides was difficult to combat since the range of actives had reduced. The rising costs of bringing a new active to market, compounded by the regulatory uncertainties, was a disincentive to do R&D for European markets and Dr Knight highlighted the need for a less stringent interpretation of hazard-based policies and a move to risk-based assessment. Other speakers also strongly criticised aspects of the EU hazard-based approach to agrochemical regulation; Dr John Doe, Parker Doe partnership, showed clearly how EU classification of carcinogenicity based on hazard identification is outmoded and fails to serve society’s needs. Prof Steve Bradbury, Iowa State University, reviewed the US EPA experience where science-based risk assessment, supported by legislation, had proved acceptable to the wide range of US stakeholders in food production, consumption and the environment. Prof. Lin Field, Rothamsted Research, highlighted worldwide concerns about bee decline and how easy it was to blame insecticides for this, despite the many interacting factors such as Varroa mites, diseases, weather and bee food availability. She outlined the ways in which misleading research findings – and associated press releases – had been used to blame neonicotinoids when the evidence was not there. Dr Peter Campbell, Syngenta and Mike Coulson, Exponent also evidenced misinterpretations of the data leading to contradictory and damaging scientific, press and regulatory responses. Day Two of the Congress offered that opportunity, with the inclusion of a CRD Workshop providing delegates with the chance to discuss how an effective UK pesticide regulatory scheme post-Brexit, fully integrated with Defra’s future strategy could be structured and benefit UK agriculture. This workshop stimulated many constructive inputs for Dave Bench (CRD) and Gabrielle Edwards (Defra) to take away to help shape future regulation. “Our industry needs to take the initiative to drive radical change, based on new technology and innovation as part of IPM – including sensing, robotics, targeted application, “smart” formulations and biopesticides,” concluded Dr Ruscoe.